‘YOUNG ACHIEVER AWARD’ – for 2007 from Public Relations Council of India. ‘ABHINAYA KALA RATNA’ – for excellence in Abhinaya – KALARAJYAM, Hyderabad. 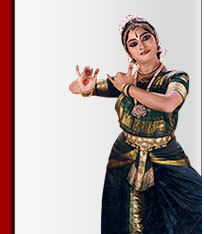 ‘BEST NATYACHARYA’ – Indian Fine Arts Society, Chennai. ‘UGADI PURASKAR’ – Visakha Cultural Academy, Visakhapatnam, Andhra Pradesh. ‘BEST LECTURE DEMONSTRATION AWARD’ – Indian Fine Arts Society, Chennai. Has been awarded the ‘SEVA RATNA AWARD’ by Chennai Social and Cultural Academy, Chennai. Recipient of the ‘KALA TARANGALU’ award for Indian Classical Dances, from ARADHANA, Hyderabad. Recipient of the ‘AWARD OF EXCELLENCE’ for her contribution in Dance from YUVAKALAVAHINI, Hyderabad.